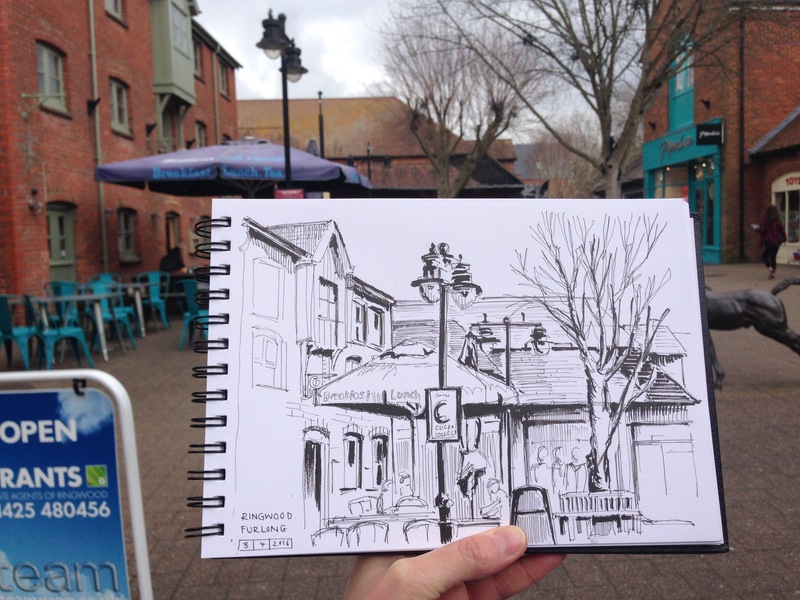 A nice morning off and a chance to do some sketching around Ringwood. Lots of people stopped to chat today! 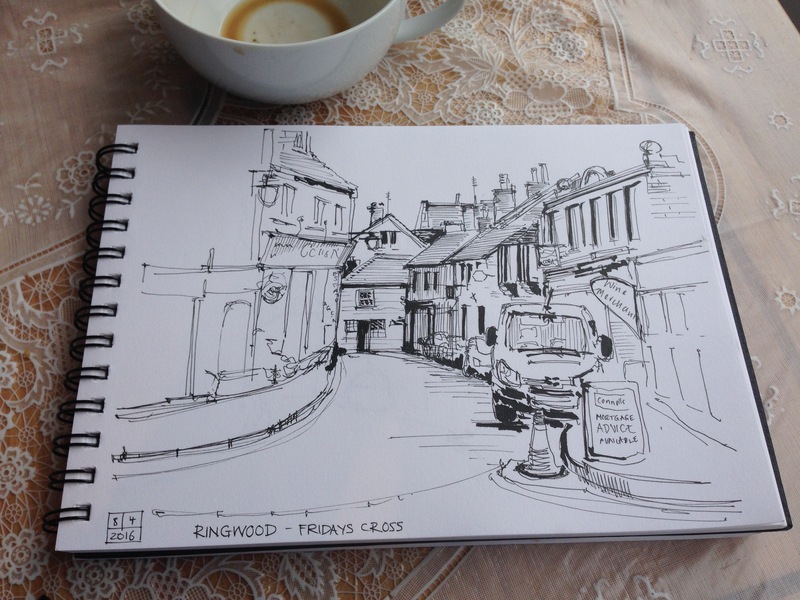 Ringwood! One of the best places I ever lived. Were you sat on the round acorn metal bench when you were drawing the Fridays Cross one? Or was that from the cafe window?